Winery Tasting Notes: Dark crimson color. The nose is rich, ripe, and layered. Plenty of blackberry fruit, spicy and herbaceous with green pepper, peppercorns, licorice, potpourri, dark chocolate. Plush, silky mouthfeel with notes of eucalyptus, menthol, and anise along with fine tannins and a lingering finish. 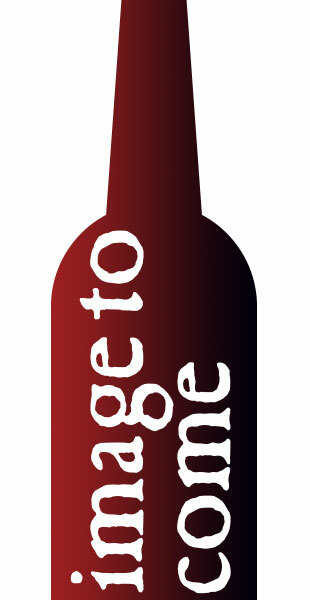 Fun Facts: Camp Wines were created by the Hobo Wine Co. in 2011 to showcase the quality and value of Sonoma County wine. We work with top growers and vineyard managers in very high quality and responsibly farmed, though lesser known, vineyards throughout Sonoma County to produce delicious, approachable, and affordable wines. Winery Tasting Notes: Magenta hue with a nose full of fresh, bright red berries, raspberry, plums, currants, wildberries, and rhubarb followed by fresh roses, herbaceous tones. The palate is consistent; juicy with racy acidity and fine tannins and a persistent finish. Fun Facts: These old Carignane vines charm me like no other vines. They are large tree-like beasts that I can almost stand under. There is a certain magic and timelessness that they have, almost an aura about them. I like to think about the Greek brothers whose hands planted these vines, their families who lived on the same property, and all of the lives that have come and gone and been provided for by these beautiful creatures. Winery Tasting Notes: Our 2014 Meritaggio has a dense, dark ruby violet color that shows off a higher percentage of Cabernet Sauvignon with aromas of baked cassis and plum as well as cocoa nibs, cedar and earth tones. The palate is lush and full bodied while framed with Sangiovese’s acidity, candied strawberry and red cherry leading to a long savory finish. Fun Facts: Meritaggio is the brainchild of the Long family. Wanting to fulfill his desire of producing a fine blend, David Arthur Long set out to find clones of the five classic red Bordeaux varietals: Cabernet Sauvignon, Cabernet Franc, Merlot, Malbec and Petit Verdot. After many trials, he came across the Tuscan varietal Sangiovese, which stole the spotlight from all the Malbec he had tasted. The resulting blend was christened, “Meritaggio,” in honor of its outstanding quality and French Italian heritage. Winery Tasting Notes: Complex, lush and well balanced. This offers great intensity of dark fruit, baking cocoa, fresh herbs and licorice. The fruit shows beautiful ripeness tempered with savory herb notes. Fun Facts: Trevor Sheehan, the proprietor and winemaker for Octapada, has been making wine in Napa Valley for 8 years and has several labels in the market. Trevor has worked in the wine industry for 15 years in Napa Valley and has strong contacts with outstanding vineyard sources and grape growers as well as with the top winemakers in Napa. This 2014 Cabernet Franc is another example of Trevor’s hard work and great resources to create an excellent, well balanced wine for a great value. Winery Tasting Notes: Nose of apple, pear, mango and white flowers. Layered flavors of stone fruits, honey, zesty citrus and lemon oil pair with a rich mouthfeel without being creamy or buttery. Shows good intensity, complexity, and minerality with a smooth midpalate and a finish that lingers on the palate. Native yeast and malolactic fermentations, then aged 8 months on the lees in French oak barrels (90% neutral) then bottled unfined and unfiltered. Fun Facts: Trombetta Family Wines handcrafts beautifully balanced small lot Chardonnay and Pinot Noir from vineyards that exemplify the area in which they are planted. Erica Stancliff (Vina Cobos, Crossbarn) daughter and winemaker, takes great pride in producing wines with purity of flavor and balance. Rickey Trombetta, mother and owner, works closely with Erica and their growers to identify only the best fruit for their wines. Erica was picked out at the young age of 10 years old by Paul Hobbs and she has worked closely with him ever since both in the vineyards and in the winery. As a protégé of Paul Hobbs, Erica has an incredible background of knowledge, experience and she is confident in her own approach to crafting these wines for her family’s name. A very exciting, up and coming estate! Winery Tasting Notes: Lemon, honey and wetstone aromas open up to this rich and fully flavored Albarino. Notes of honeyed white stone fruit and savory flavors linger on the palate. The finish is remarkable, full of bright acidity and spices. This 100% Albarino comes from a single vineyard that is high elevation, 2600’feet elevation, yields are very small, less than one ton per acre. The Defino Vineyard is a 1.5 acre site, north facing, with Aiken strewn soil with lava pebbles, perfect for Albariño. Fun Facts: The Waterfall Wines are made by the young and very talented Helen Keplinger (Grace Family, Bryant Family, Scully, Kenzo, Keplinger…. ), Wine Spectator’s Winemaker of the Year in 2012. This is Waterfall’s third release of their Albarino. Waterfall proprietor, Boris Guillome, is a 20-year veteran of the wine industry, having worked in some of California’s best restaurants and shops. In 2013, he decided that his next challenge would be in creating his own label, so he hired Helen Keplinger as his winemaker and set out to find exceptional sites and the best fruit possible. These wines are pure, focused and spectacular. Winery Tasting Notes: Delicate mineral notes of chalk and slate with good citrus and melon in the nose. The wine is quite floral with firm acidity and a rich, full-bodied middle with a nice snap. Fun Facts: Christian Thirot-Fournier’s family has been making wine in the Sancerre region for several generations. Their winery and most of their nine hectares of vineyards are located in the chalky, clay soil around their village of Bué, where many of Sancerre’s most prestigious vineyards are located. The soil around this village contains the perfect balance of chalk and clay. Their harvest is done entirely by hand. The grapes are pressed slowly and gently, and after a simple racking, the alcoholic fermentation starts and goes on for several weeks at around 60 degrees Fahrenheit. Standard fining and a light filtration follow in the winter, and the wines are bottled in the spring to retain their freshness.